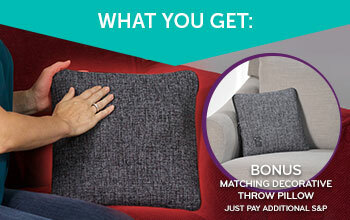 Perfect for All Over Relaxation & Relief! 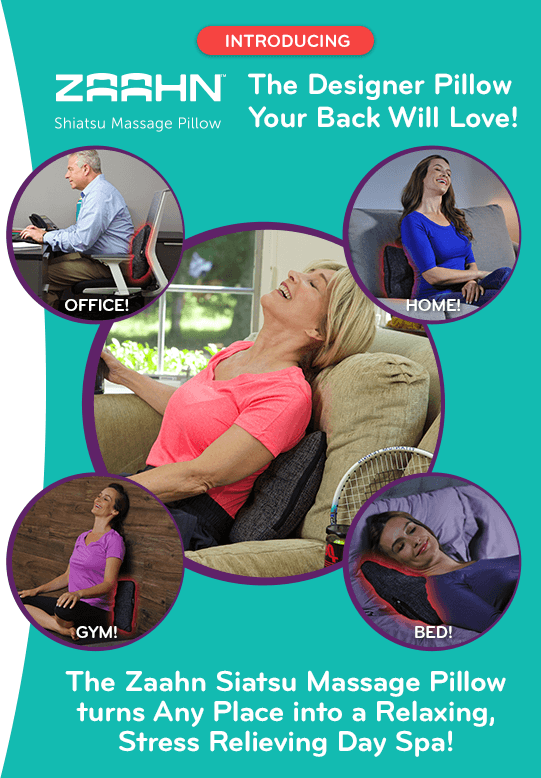 • Shiatsu-Style Massage Whenever You Want! ATHLETES Love Using it After the Big Game! RELIEVES the Aches Pains of Everyday Life! 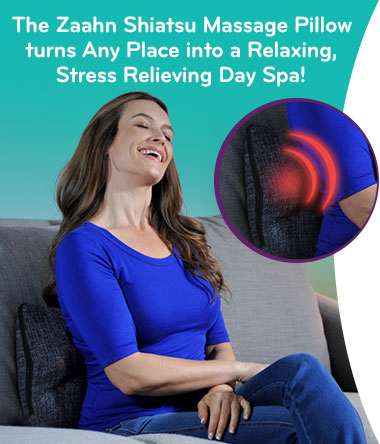 Watch First Timers find INSTANT RELIEF! 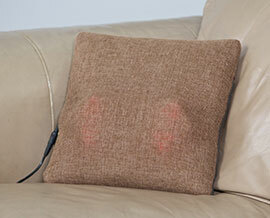 BEAUTIFUL Massage Pillow fits ANY Décor! A Combination of ZEN and AAH! 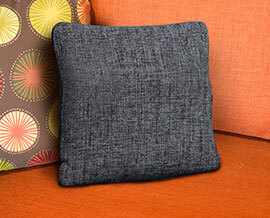 The Designer Pillow Your Back will LOVE! Stressed at the office? Just finished a tough workout? Ache from everyday life? 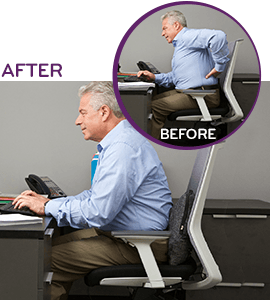 Relief is just one button away! 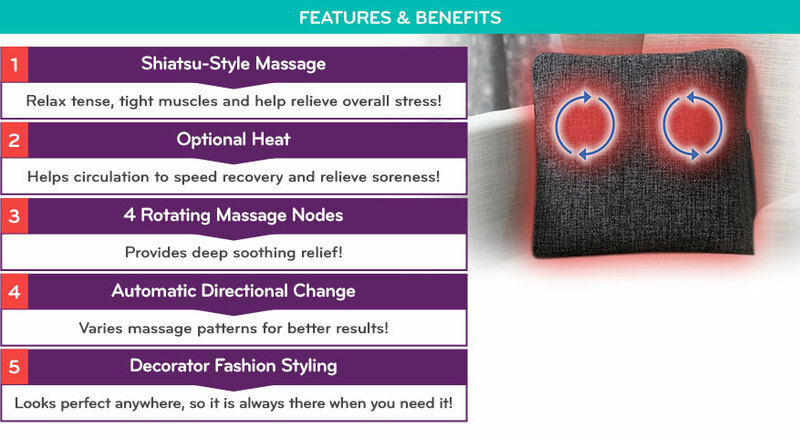 The Zaahn Shiatsu Massage Pillow gives you a heated, shiatsu-style fingertip massage anytime and anywhere! 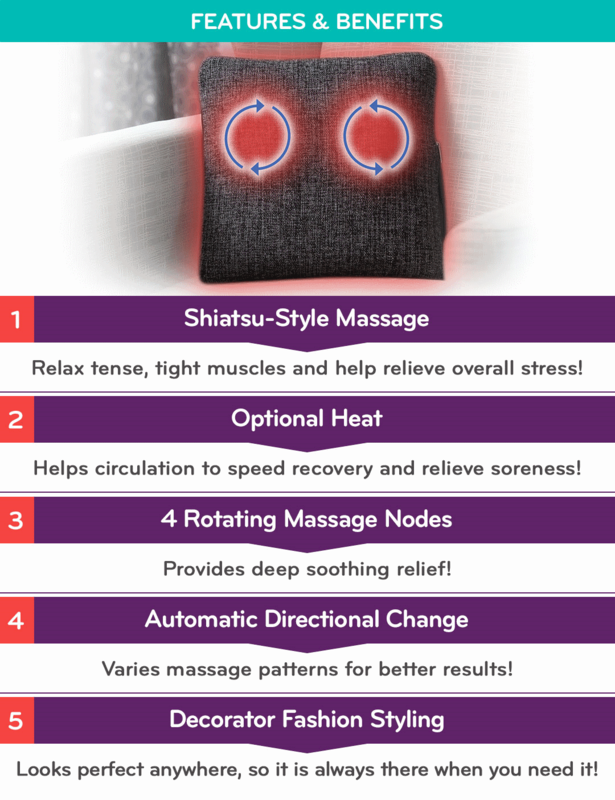 Help Circulation Speed Recovery! Stylish! 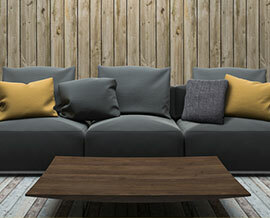 Beautiful Designer Styling Fits Any Decor!